If you are looking for something to do this summer, let me plug my own show! 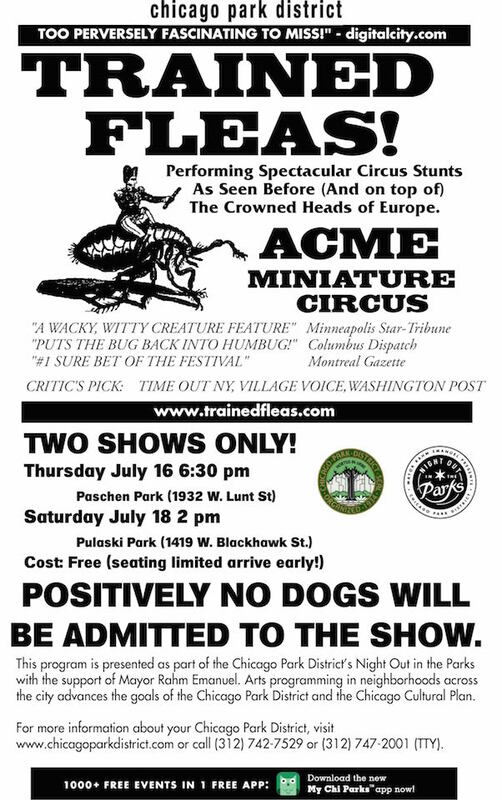 I am performing my world famous Flea Circus at two Chicago Parks this summer! Would love to see you at one of the two performances. Please let your friends know, I'm hoping to have the parks bring me out for more performances, and it will help if I can get a big turnout at these two.